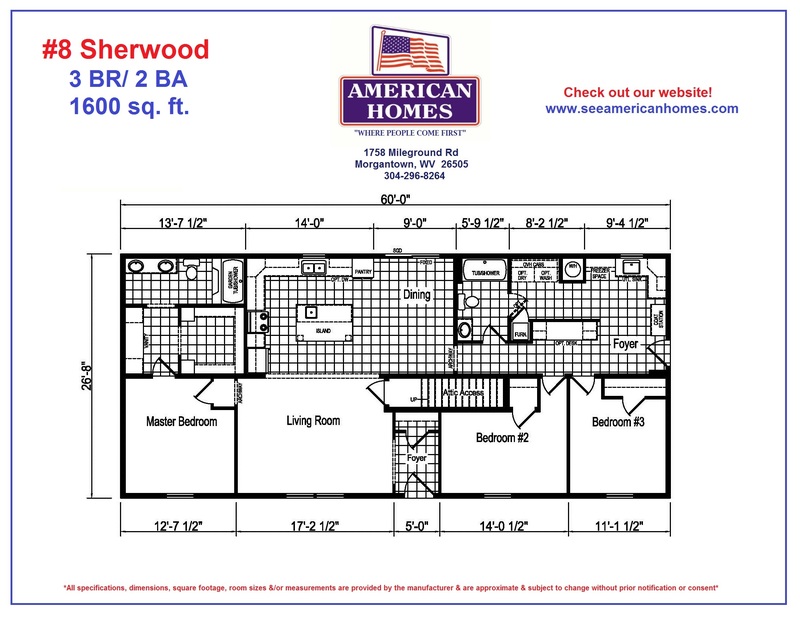 3 Bedroom / 2 Bath / 1,600 sq. ft. The Sherwood offers beautiful “Timber Wolfe” cabinetry with Metallaire backsplash, set off by wide plank flooring and a white island in the spacious kitchen. The foyer makes a warm and inviting impression on family and friends who will certainly comment on the distinct design features such as the beautiful archways and open floorplan of this 3-bedroom, 2-bath home. Make sure you don’t miss the furniture-style vanities and oval picture frame mirrors in the luxurious master bath! With the walk-up attic, the extra-large utility room with sink, coat hooks, cubbies, freezer space, plenty of cabinets and workspace, this home is a lot of bang for the buck.